Independent Journalist & Author of "The Jones Men"
“The Jones Men”: From Novel to Screenplay to Stage…Movie? When I first suggested to my editors at Newsweek that we take a look at the devastating impact of heroin on Detroit’s urban landscape back in the early 70s, I knew it was a subject that would draw attention. But I could not have fathomed that I would turn the essence of my reporting into a novel, “The Jones Men,” or that sometime after that a determined producer–and Detroit native–Woodie King Jr.–would convince me to write a screenplay based on the book. Screenwriting is something I’d had an interest in since college, seeing it as a different kind of narrative storytelling. After a series of drafts and rewrites, I completed the version of the story I’d like to see as a film, and moved on to other orojects. Over the years, Woodie would share his attempts to set up a production on the script from time to time. I admired his tenacity and belief in my work , but.. I watched rehearsals today for Sunday’s special staged reading of that screenplay at the Castillo Theater on 42nd Street in the heart of New York’s Theater district, marveling at the staying power of a piece of writing, and one man’s dogged belief in it. As the driving force behind New York’s New Federal Theatre, (NFT) Woodie has helped launch the careers of some of the most famous faces in the movies, as well as nurturing writers like playwright Ntozake Shange (“For Colored Girls Who Have Considered Suicide When the Rainbow was Enuff.) The NFT special play reading series, sponsored by the Gurfein-Merine Family is named for Shange. “The Jones Men” cast of 24 is the largest in the Reading Series. Several of the actors flew in from Los Angles on Woodie’s call, and one more joined them tonight after completing a film out west: Jamie Hector, memorable for the role of Marlo Stanfield in HBO’s “The Wire,” will read the part of Lennie Jack, the main character in my story. 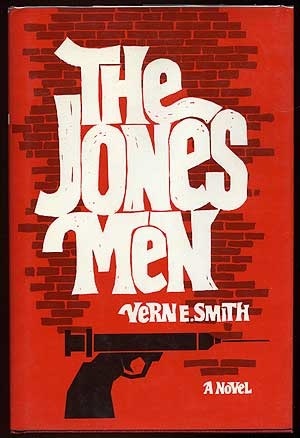 Will a “The Jones Men” film ultimately be produced? 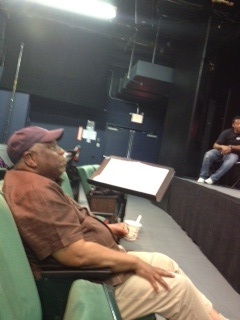 “Timing is everything,” as Ralph McCain, the actor who does such an outstanding job with the character called Goattee. told me I Hope he’s right, but the journey so far has its own reward.